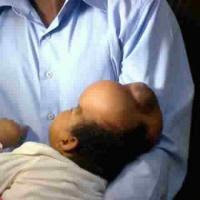 Okiki was born in May 11 2010 without more than half of her skull. A rare medical condition called Congenital Cranial Deficiency. All of the hospitals visited by their organisation home and abroad could not offer a cure or lacked the facilities and man power except for the John Hopkins hospital in Maryland, Baltimore USA where the director of Paediatrics Dr Ben Carson is the first doctor to handle an issue like this ever, only then it was on a conjoined twins joined at their heads (the Binder twins). 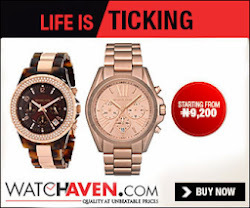 When GIPLC became involved in Okiki's case and after due consultations, inquiries and findings as to how much it will cost to have Okiki treated, they were able to raise within the space of 72 hours the sum of $234,000 (two hundred and thirty four thousand USD) or N37,000,000 (thirty seven million naira)and deposited the complete sum to the John Hopkins Medical which was their required deposit to commence the series of surgery on Okiki. She will now leave Nigeria in the company of her parents for the USA by April 2013. Okiki's is special because no NGO in the history of Nigeria has accomplished this feat, to raise the sum of N37,000,000 for a single individual! GIPLC World Press Conference comes up at Transcop Hilton in Abuja on the 26th of March 2013.